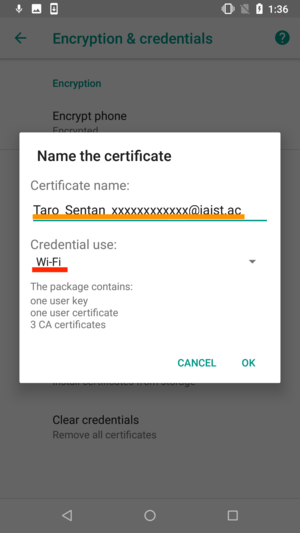 This page illustrates how to connect an Android device to JAIST Wi-Fi via digital certificate. 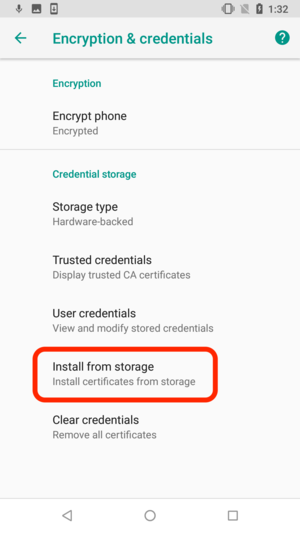 #To use this secure network, please download and install your digital certificate in advance as follows. 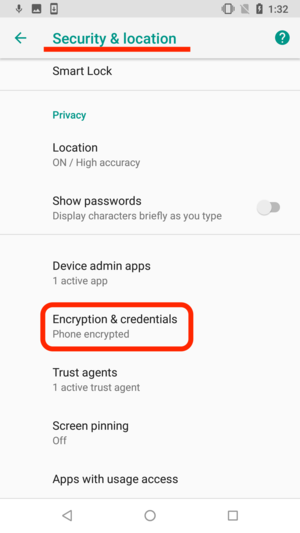 Select "Encryption & credentials" menu in "Settings" -> "Security & location" panel. 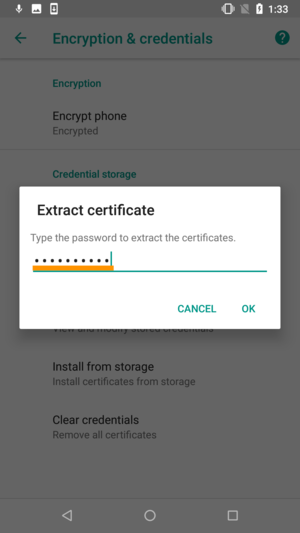 Please select the certificate file to install. 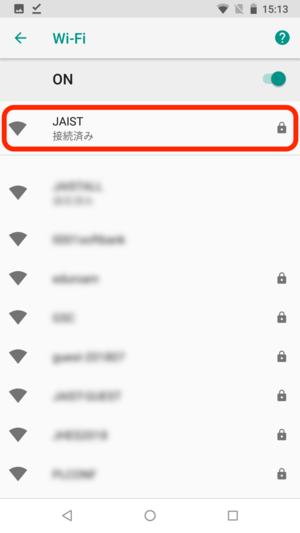 Please select to use the certificate for "Wi-Fi". 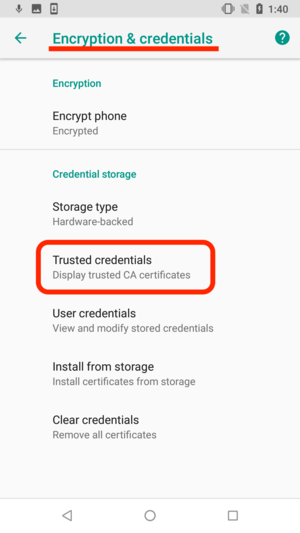 In the "Encryption & credentials" menu, select "Trusted credentials, Display trusted CA certificates". 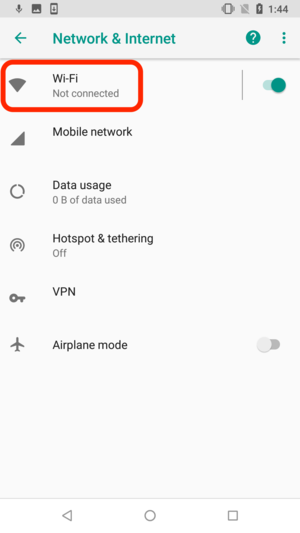 Select "Wi-Fi" menu in "Settings" -> "Network & Internet" panel. 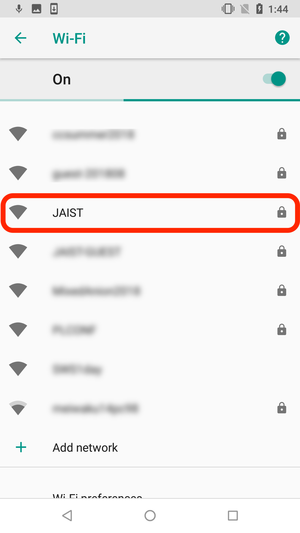 Please select "JAIST" from the "SSID" list. 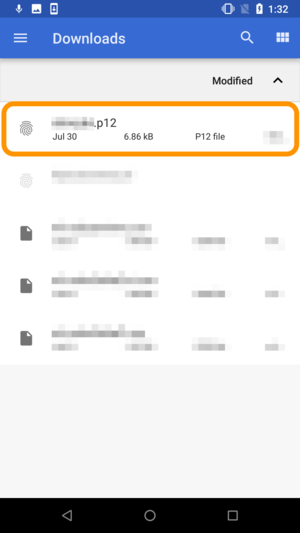 After you complete setting the following information, please press the "Connect" button. 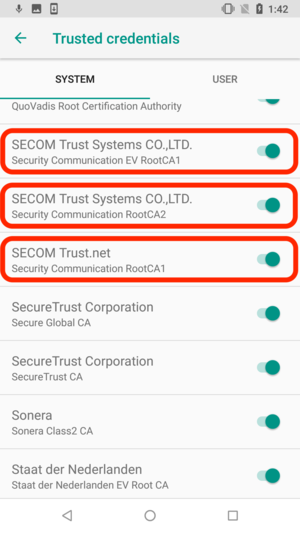 # If "Use system certificates" does not exist in the field of CA certificate(old version of Android), please select "Do not provide", "Unspecified" etc. 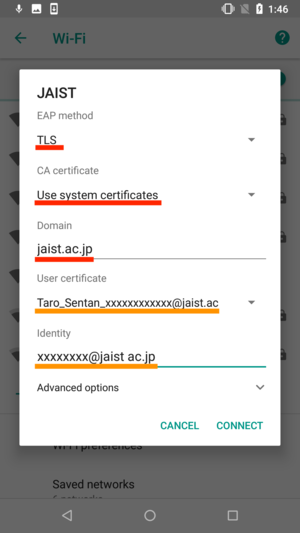 A while after pressing the "Connect" button, please confirm that the status of "JAIST" becomes "Connected".